Here are some links to other schools, organizations, and primitive skills gatherings if you are seeking to expand your knowledge. Over the past 30 years, 8 Shields has developed training pathways that support mentors and leaders to change individual lives, and entire communities, in becoming more connected. This model incorporates traditional mentoring and deep nature connection practices, fully supported through our neurological, emotional, and physical connection to the natural world. 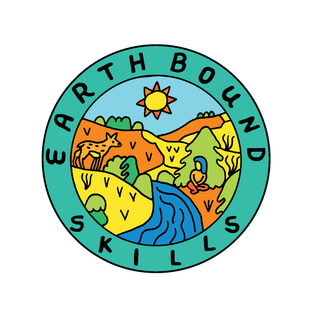 4 Elements Earth Education offers programs that guide children, families, and teens toward a pure connection to the Earth through direct experiences in nature, in Nevada City. The Sharpening Stone is an organization dedicated to bringing a deeper understanding of living close to the Earth. We host an annual gathering, as well as continual smaller workshops and events throughout the year. Utilizing a large pool of instructors with a wide range of expertise, we focus on sustainable living techniques and ancient nature-based skills. Deep in the heart of timberland, we are located on a beautiful remote property near Grants Pass, Oregon. We offer a community-oriented, retreat-style learning environment. We began the Buckeye Gathering in Northern California because…it’s about time. There is a rare density here of talented instructors, students with that eager glint in their eye, and intertwining movements, so we gather this first spring to offer a week of practical classes on time-honored living skills. Seasonal harvests and celebrations are a hallmark of human culture; we offer an open invitation to folks from all corners to join us in making Buckeye an annual tradition for networking and inspiration. California, for its resources and diversity, also traces its historical roots as an area of trade and travel along the Pacific Rim, so it is no wonder that it still gathers us.